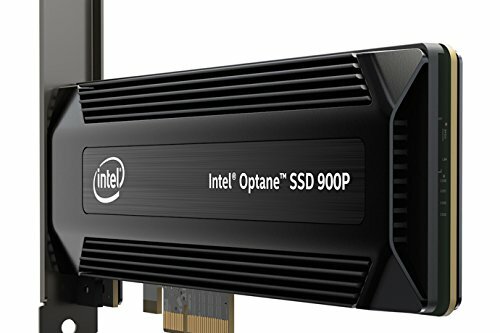 Having waited eight months since Intel’s tantalising but ultimately lacklustre tiny Optane Memory SSDs, we’ve finally got our hands on the consumer product that 3D Xpoint (“cross point”) deserved from the start in Intel’s newest Optane 900P series, which is currently selling in 280GB and 480GB capacities. 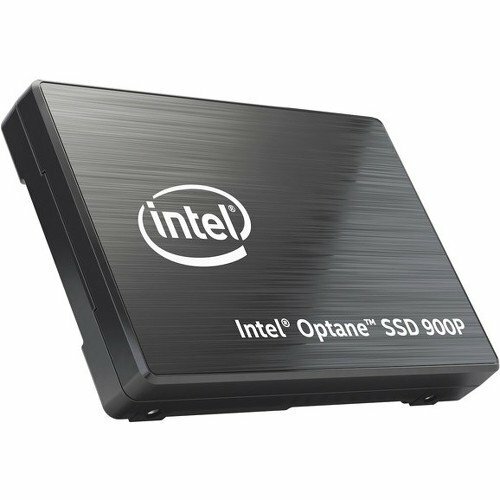 Now an add-in card (and later in U.2 form factor), the newest Optane line-up now has four lanes (up from two) of PCIe 3.0 bandwidth to play with and a rather beefy full-length passive heatsink onboard that hides the fact that these drives use the same controller as the enterprise grade P4800X Optane drives Intel launched at the same time as the consumer Optane Memory products. 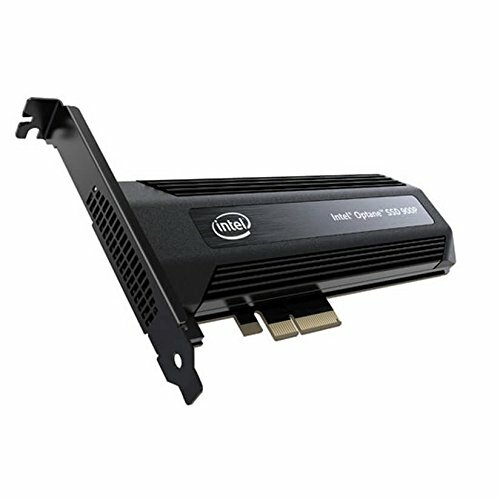 With an enterprise controller you’d think that this drive might sacrifice some performance for endurance and stability that enterprise demands. From our tests that certainly doesn’t appear to be the case. Performance is outstanding to say the least, which we’ll get to in a moment but the endurance of the 900P series is in a league of its own. 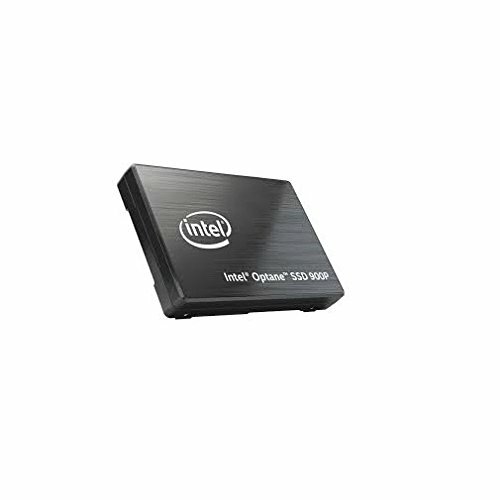 The 480GB and 280GB 900P products are rated at an insane write endurance of 8.76PB and 5.11PB respectively before failures can be expected. That means you can fill these drives ten times over every day over the course of the 5-year warranty. To put that in perspective, the Samsung 960 Pro 512GB, arguably the best NAND SSD available currently is rated at just 400TB of writes over its lifetime, a paltry 5% of the 480GB and 8% of the 280GB 900P’s endurances. 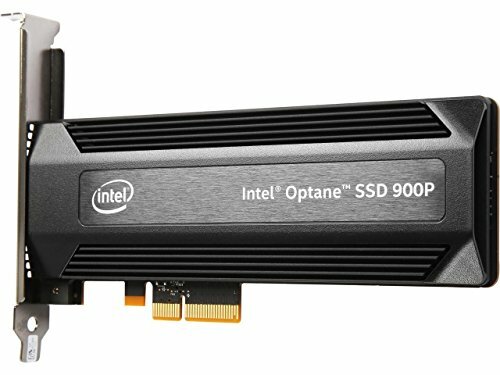 On to performance and this 280GB 900P picks up where the Optane Memory left off and ramps it up to eleven. our Samsung 950 Pro 512GB by a few percent in sequential reads and writes. Impressive given it’s half the capacity. Where things get really crazy is when we go random. 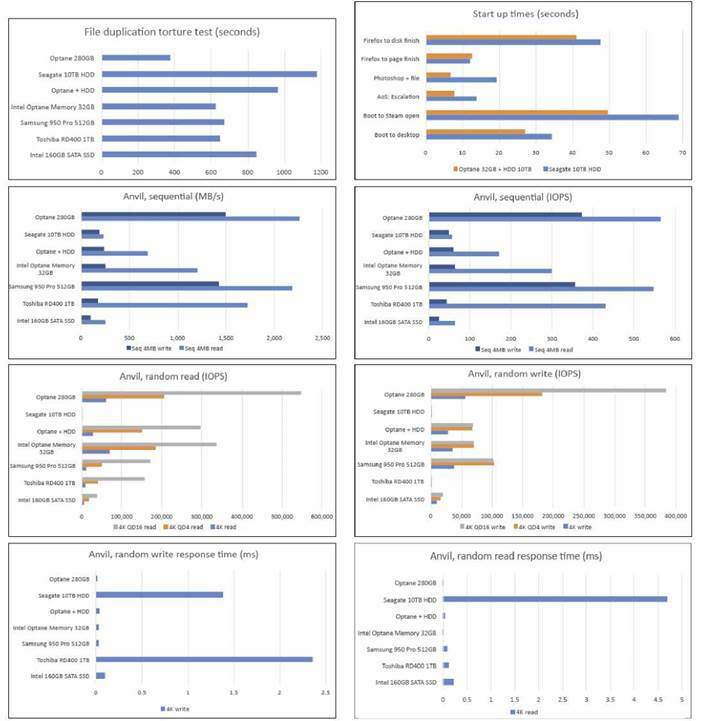 Random read IOPS in Anvil’s benchmark suite compared to the 950 Pro start at 530% faster at queue depths of one and remain above 320% faster at queue depth of sixteen. When it comes to writes it’s also impressive going from 140% to over 370% faster at the same respective queue depths. compared to 669 seconds of the 950 Pro, a 44% speedup! The second test was again duplicating some files on the drive, but this time made up of 130GB of larger 140MB files whilst at the same time running Anvil’s benchmark. During this, Anvil’s benchmark writing with a single thread showed speeds on the 900P of 30.5MB/s compared to the 950 Pro’s 11.6MB/s, a 260% improvement which stayed higher than 175% even at queue depths of sixteen. 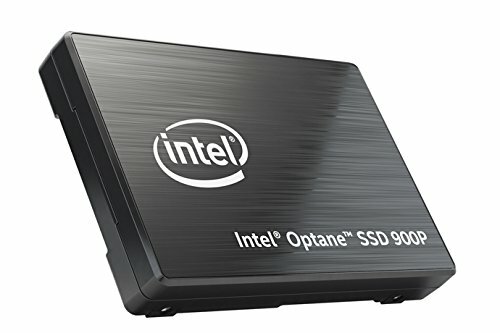 The 900P series isn’t cheap, coming in at around three-fold an equivalently sized NVMe NAND SSD but if you do anything that thrashes the disk or need the perfect scratch disk the 900P depending on the task can deliver that 300% worth of price in raw performance, if not more, and pure drive longevity if nothing else.